We all want to surprise our loved ones during the holiday season, but if you do your gift shopping online, it can be too easy to ruin the surprise. Learn to keep your shopping habits secret so you can enjoy the look of delight on their face when they open your gift! When we shop online, websites and marketers track our every move in the hopes of showing us an offer we’ll like. They decide what to show us based on what we’ve been looking at, so if you look for a pair of sunglasses, you're going to start seeing ads for sunglasses and other accessories or beach products. 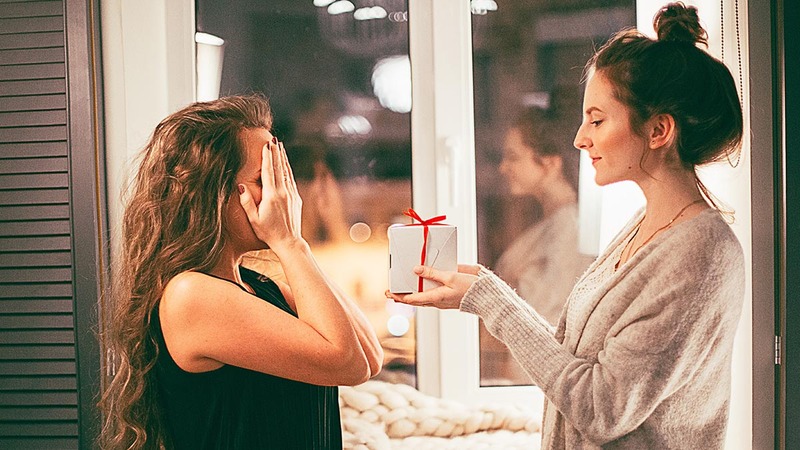 You know that these offers can be convenient and you probably know that they also represent a significant privacy risk, but did you also know that they could give away the perfect holiday surprise you’ve been planning so carefully? And they’re not the only culprits. Online ads will leave a trail of footprints to the online stores you’ve been visiting. When your children or significant others use your device, they’ll notice ads they’ve never seen before for exactly the thing you were planning to buy them. Busted! Search history can also give away your holiday plans. Your “targets” wouldn’t even have to look for something related – simply starting a search query or URL with the same letters can be enough to give you away. Your likes on Facebook or other social media will show everyone which brands you’re engaging with. Usually, that’s not much of a problem, but many of those new likes are broadcast to your friends’ feeds. If your intended recipient is on your friends list, they might get a hint at the gifts you’re looking at! Leaving your browser open can reveal your shopping history for anyone to see. If you’ve set your browser to open the windows or tabs from your previous session, that can also be a dead giveaway. Use incognito mode: We’re always careful to specify that incognito mode does not equal privacy. However, this is exactly what it was made for – setting aside a single browsing session that won’t save cookies and won’t save your history. If you want to keep your online shopping a secret, don’t browse without it! Don’t use social media: Some brands like to offer special deals on social media, but if you want to surprise your loved ones, let Facebook sit this one out. However, just not using social media is not enough – you have to log out completely. Many online stores use social plugins that can and will track you all over the web, sometimes even showing up in your news feed if you’re not careful. Cut the “cord” while you shop to stay totally private. Use a VPN: One of a VPN’s core features is to hide your IP address, which is critical if you want your shopping searches to stay private. Advertisers use more than just cookies to track you and serve you ads. Your IP address can also be targeted, and that can get you in a lot of trouble. Not only can it help target your device across multiple browsers or browsing sessions, it will also target any devices connected to the same router as you! If you and your recipient so much as use the same Wi-Fi at the same time, they can start getting ads based on your searches, and if those ads are eye-catching enough, they might understand what’s up. If your office is doing a secret santa exchange, keep in mind that your recipient probably sits on the same Wi-Fi as you! If you search for their gift at work, you’re more than likely to tip them off. Get a privacy-oriented browser extension: There are plenty of powerful, free browser extensions that will help you shake off trackers and keep your holiday shopping searches private. There are lots of options and they all work differently, so check out or break-down of some of the best privacy extensions out there. Mind your screens and windows: If you take every advanced cybersecurity precaution out there and then keep the windows open on your desktop or let them reopen for the next user, then you’ll still get found out! Make sure you “clean up” after yourself when you’re done. Go old-school: Shopping at brick-and-mortar shops narrows down your selection and takes more time, but it’ll practically guarantee that you won’t leave any digital footprints. If you think you might be physically followed, well then… that’s outside our line of expertise! If you follow these steps, your shopping sessions should remain the perfect secret. Now, when you get that amazing and heartfelt gift, they’ll never know what hit them! Try out NordVPN free for 7 days to secure your secret shopping session! It’s risk-free!